Situated four miles from Nottingham, just 10 minutes from the M1 and with direct train routes into central London, De Vere East Midlands Conference Centre offers a choice of 21 flexible event spaces. Here a modern and versatile setting with neutral tones allows you to create the right backdrop for your event. 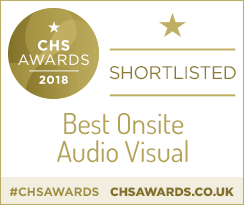 Voted as Best Auditorium and short listed for the Best Onsite Audio Visual at the CHS 2018 Awards, our Conference Theatre provides a versatile space for up to 550 delegates. With its tiered seating and large screen, it will certainly capture the attention of your guests. 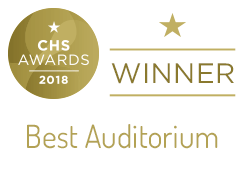 Meanwhile, the Banqueting Suite offers a flexible space for exhibitions, awards evenings and dinners, hosting up to 1,000 for a conference or 580 for a meal. In each space, you’ll find smart intuitive technology with super fast Wi-Fi, plus a dedicated events team and nutritious food and drink. Meanwhile, our neighbouring De Vere Orchard Hotel offers stylish overnight accommodation, plus a restaurant, bar and gym. Guests can also enjoy free access to the state-of-the-art gym and 25m swimming pool at the University of Nottingham's brand new David Ross Sports Village. Conveniently located just 10 minutes from J25 of the M1 and the centre of Nottingham, with direct rail links into London. Can accommodate events large or small, for up to 1000 guests.